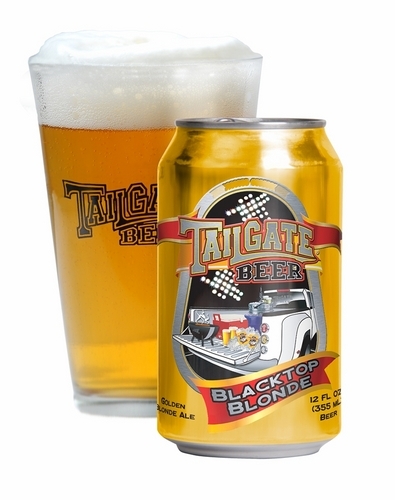 San Diego, CA – San Diego-based craft brewing company, TailGate Beer, has announced that the first shipment of 12-ounce cans of its Blacktop Blonde will arrive in San Diego and be available to consumers by the end of January. The first-ever San Diego brewing company to offer award-winning craft beer in a can, TailGate Beer bridges the gap between the unique characteristics of craft brews and the “drinkability” of mainstream beer enjoyed by most consumers in the form of cans. Keegan and his late father came up with the idea for TailGate Beer in 2004. With moral support from his father, Keegan, originally a casual home brewer, initially piloted a few batches of recipes of his own design for entry into the Great American Beer Festival. After receiving recognition and acclaim from his peers, Keegan entered into a contract brewing operation, which has since blossomed into a full-fledged partner brewing agreement. After his father’s sudden passing in 2010, Keegan has moved forward to making his father’s dream for TailGate Beer become reality. Despite impressive growth, Keegan still remains present to physically brew every batch of TailGate Beer, just as his father and he had planned. Distribution plans include an initial focus on the west coast and the Midwest. In March, TailGate expects to release the gold medal winning Hefeweizen in a can. Tailgate is the worse beer my lips have ever touched! !